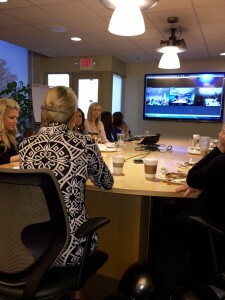 ST. LOUIS, Oct. 26, 2015 – KellyMitchell Group, Inc. (KellyMitchell), launches its annual United Way campaign with a nationwide, virtual breakfast with KellyMitchell CEO Cassandra Sanford. 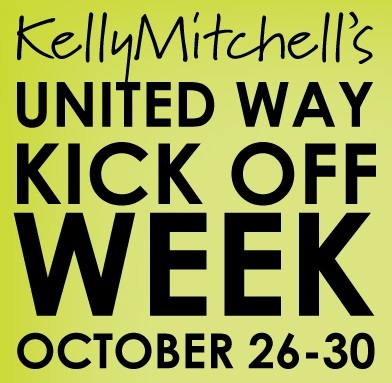 Each year, KellyMitchell hosts a United Way week to inspire employee involvement and educate new employees on KellyMitchell’s philanthropy of choice. KellyMitchell chose to partner with the United Way because, like KellyMitchell, the United Way serves communities and helps people nationwide. The United Way’s mission, Helping People Live their Best Possible Lives closely aligns with KellyMitchell’s mission to Connect People with Opportunity and Clients with Success. This week, KellyMitchell employees will participate in various fundraising activities including pumpkin carving contests, penny wars, and the auctioning off of KellyMitchell President, Mark LoCigno, who will serve as secretary for a day to the highest bidder. Year-round, KellyMitchell employees have the opportunity to contribute a percentage of their pay at various levels, which is added to a larger sum donated by executives to meet KellyMitchell’s corporate sponsorship goal. For more information about the United Way, click here.